The Tennessee Walking Horse is undoubtedly one of the world’s finest horse breeds and is affectionately known as the “World’s greatest show, trail, and pleasure horse”. Its smooth gait and gentle disposition has endeared the Tennessee Walking Horse to countless horse lovers throughout the world. Now is the time to bring this wonderful breed and all its passionate and dedicated owners together under one united industry umbrella. Now is the time to put aside differences and find common ground to protect and secure the viability of the Tennessee Walker for future generations. We are all stewards of this wonderful horse breed. Please pause, take time to reflect, and share your thoughts on this forum. 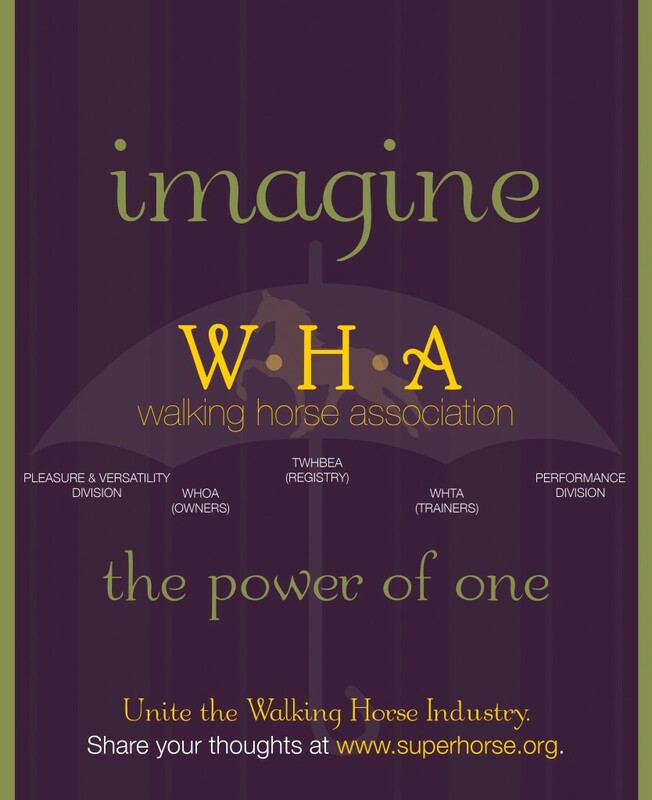 This web site and forum was created with respect and gratitude for you – The Tennessee Walking Horse Owner. Click the “imagine” ad to view the full-size version.